Water, food, and clean air are important things to have if an emergency happens. Each family or individual’s kit should be customized to meet specific needs, such as medications and infant formula. It should also be customized to include important family documents. Below are some other items for your family to consider adding to its supply kit. 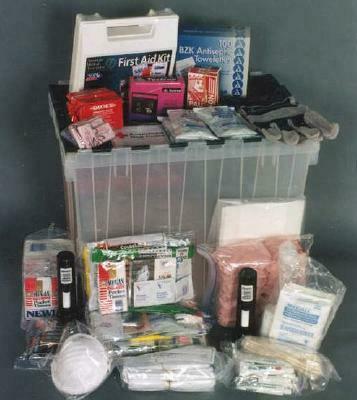 Some of these items, especially those marked with a * can be dangerous, so please have an adult collect these supplies. – Household chlorine bleach* – You can use bleach as a disinfectant (diluted nine parts water to one part bleach), or in an emergency you can also use it to treat water. Use 16 drops of regular household liquid bleach per gallon of water. Do not use scented, color safe or bleaches with added cleaners. How to avoid hurricane damages. A checklist for homeowners.